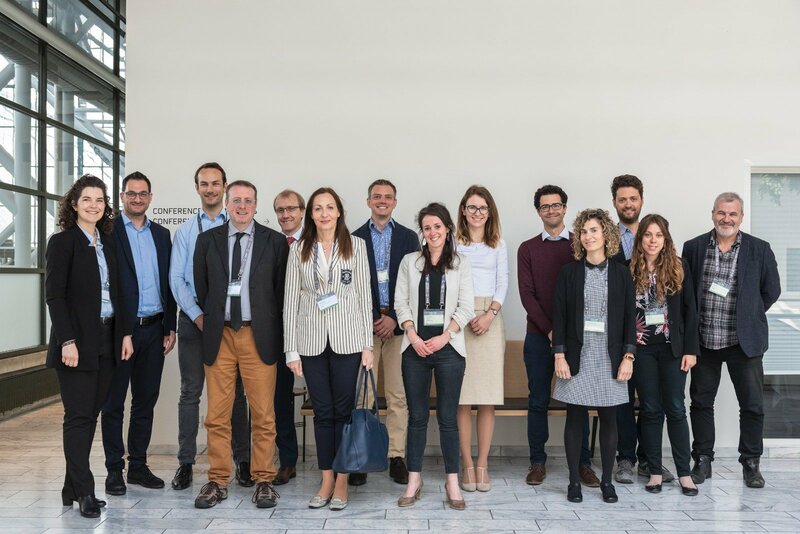 The Kick off meeting of BIO4A was held on 18 May 2018 in Copenhagen, in the framework of the European Biomass Conference and Exhibition. 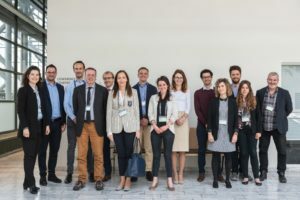 This was the first meeting of the consortium, in which partners had the opportunity to meet each other for the first time and to discuss the details of the work plan for the next 4 years. I am very proud to announce the start of this new European project on aviation biofuels, David Chiaramonti said as project coordinator. In BIO4A we will produce probably the largest volume of sustainable aviation fuel ever produced by a European project so far, from residual lipids and sustainable lipids. Our target, depending on the market conditions at the moment of production, will be around 5,000 tons of sustainable aviation fuel, he added. The industrial site identified for the industrial production of sustainable aviation fuels is TOTAL’s La Mède biorefinery in France, where a commercial technology, capable to produce HEFA sustainable aviation fuel component, is under installation for the first time at this industrial scale. A significant amount of commercial passenger flights will be conducted across Europe with the sustainable aviation fuel produced in BIO4A. SkyNRG B.V. will work mainly on setting up the downstream logistic of the fuel and the supply of the fuel to various airports in Europe under the available policy schemes. BIO4A is a great step towards the scaling up of the commercial production of sustainable aviation fuels in Europe, said Eline Schapers, head of supply at SkyNRG, we are very proud of being a partner in BIO4A and we are looking forward to making this a great project. BIO4A will also investigate if it is possible to deploy marginal land in European Mediterranean regions to cultivate sustainable, drought-resistant crops, grown in integrated farming systems with traditional crops, to provide additional lipids for the aviation fuel industry. Yuri Herreras explained the role in the project of Camelina Company, a Spanish company devoted to developing camelina crop as a sustainable alternative for fallow land replacement in semi-arid regions in Southern Europe. Our overall objective in BIO4A is to be able to produce significant volumes of sustainable feedstock for the European aviation industry in the future, he said. The European Commission’s Joint Research Centre will contribute to the BIO4A project by looking at the methodology to define marginal land and to assess the impact of cultivating biofuel crops on degraded land. CENER will assess the sustainability of the whole process in terms of economic, environmental and social sustainability, compared to producing non-renewable aviation fuels. Finally, ETA-Florence will be in charge of disseminating the results and will ensure the constant communication of the activities of the project. The European Aviation Environmental Report 2019 now available!